Come along to The Apex to see some of the best pregnancy and baby related businesses on offer in West Suffolk. There will be short demonstrations and activities throughout the day and a raffle raising money for local maternity services. 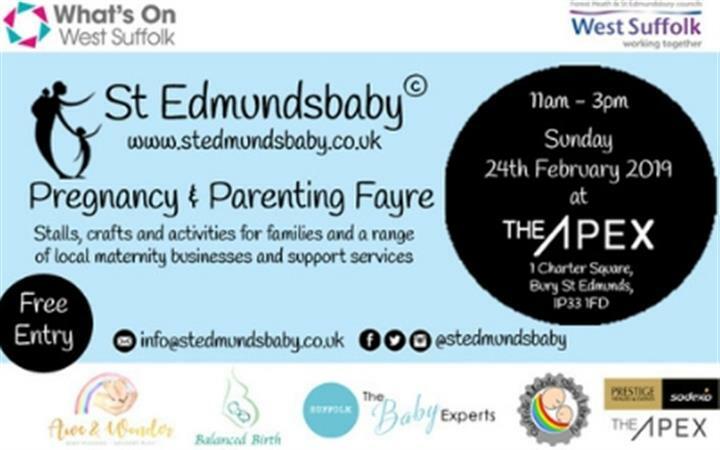 For more information, please join the Facebook event or visit the St Edmundsbaby website, alternatively you can email info@stedmundsbaby.co.uk. This event is promoted by St Edmundsbaby.